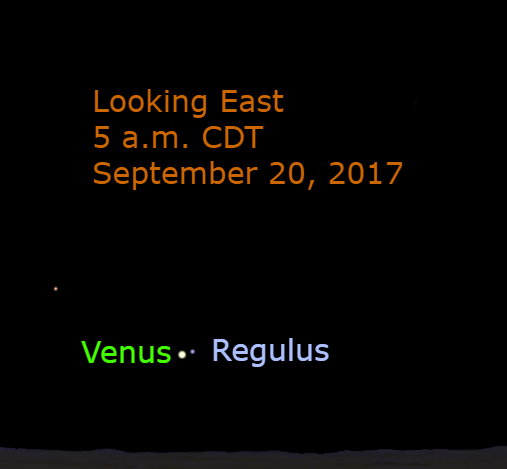 Venus and Sirius shine from the eastern sky this morning. Venus is the brightest planet and Sirius is the brightest star in the night sky. Venus is about 6 times brighter than Sirius. The waning crescent moon (25.5 days old) shines higher in the sky with the stars Procyon, Castor, and Pollux. The orange glow that shows near the horizon is from the accumulated scattered light from street lights, commonly called light pollution.